I figured I'd stop holding back on the few projects I have laying around that haven't seen official release. Behold, an idea that I drew up one day walking around, literally out of nowhere. I didn't think I'd be making something that relies primarily on Player Honour to work as completely intended, or even for a gamestyle that I don't even practice personally. But after this long, part of me realised nobody else might have come up with it themselves, so here it is.  NTL: No Time To Lose is a heavily-modified version of the sM Polish Kit at the core level, retaining nearly all of its innate alterations as far as enemies, weapons and events are concerned. However, the image up there clearly highlights the core premise of the mod. Designed to be played in a No Pause/Speedrun environment, No Time To Lose DRASTICALLY alters the entire event structure of the game. Event text is as minimalistic as possible, and several scenarios won't even tell you anything. You might come across nothing at all, some resources, a free Drone schematic that sneaks its way into your Cargo Bay without telling you. And naturally, you can also come across enemy ships that are already charging their weapons. In such an environment, the player has to think fast to analyse the situation and deal with it before it wreaks havoc. Enemy ships will even start to charge their FTL without any warning outside of the indicator above their window. You will also be transitioned out of battles instantaneously, with rewards immediately placed into the hold so the ship can jump away at once. Due to the unique nature of the way events play out, some other alterations have had to be made to adapt to this. Some of the Player Cruisers have been buffed in order to compensate for the fact that enemy ships will likely be launching attacks at you a split-second faster than they would do in vanilla. Some more unfortunate compromises were made however, primarily as a result of nuances within FTL itself. Event outcomes that result in the loss of crew were unchanged, as events that attempt to silently 'steal' crew will display a default message (and potentially crash outright). It is also impossible to silently allow the Clone Bay to function in events for the same reason. Boarding events were unfortunately cut as well, as these events also force a text window should your ship have Zoltan Shields. Fights in Plasma Storms were also cut, as a result of enemy ships outright cheating, their Reactors allowed to run at 100% strength when spawned immediately in a hostile state. With the premise of No Time To Lose relying entirely on speed, attempts to fix some of these would harm the text-free flow of the mod. As far as equipment is concerned, No Time To Lose is based on the sMPK, so for details on what these changes are, refer to the thread there. However, as the developer of FTL Insurrection and a recogniser that few players attempt No Pause Runs outside of a vanilla environment, I felt it would be wise to give No Time To Lose its own set of modules to customise the experience to one befitting the player's wishes. The No Text to Learn module throws away nearly every relation to the classic FTL event structure and alters every single event to be completely textless. The pace of the game is maximised to its fullest in this configuration, the only things slowing you down will be your enemies and any post-battle recoveries you'll need to perform. The Insurrection Equipment module adds as much content from FTL Insurrection that can work in the No Pause Environment. This includes all of its weapons, the alterations made to some augments, and the implementation of its Trade System. The Combat Assist System and Empty Beacon augments are not included, since both do not gel with the fast-paced environment. The Flagship fight also remains identical to the vanilla Flagship in most regards, with the intense resistance of the Insurrection final fight proving too much to handle otherwise. The Vanilla FTL Settings module reverses most of the equipment changes native to the sMPK, including weapons, ship buffs and some augments. This is for those who do not necessarily agree with some of the alterations, or are just simply more familiar with vanilla FTL weapon handling. Some changes do still remain, however. Some of the worst weapons in vanilla FTL will retain some degree of their improved forms, the Flak weapons remain in their configuration within The Man's Way, and the changes made to render the Hacking Power Exploit impossible remain adamantly in place. As No Time To Lose is based on the sMPK, there is partial compatibility with its range of modules. Augmented Weapons will function as intended, although the showcase event will not be altered to fit the pace of NTL events. So I'm confused, are you allowed to pause or you're not meant to pause the game and go with the flow? Because this sounds interesting. I guess, if pausing is allowed and it's all about the Honour System. stylesrj wrote: So I'm confused, are you allowed to pause or you're not meant to pause the game and go with the flow? It is effectively all based on the Honour System as to whether the player chooses to pause or not, since there isn't really any way to disable the use of the Pause command directly through mods (as well as the Middle Mouse Button, which also pauses). Nice mod, its been a while since I can easily get crushed by enemy fire. I still mechanically hit the middle mouse button sometimes. Huh, I didn't know the middle mouse button could pause. I always use space. Middle mouse button is rather iffy as it tends to scroll as well as click. So after seeing the first stream of the mod in action, the reception has been predictably strange, to say the least. One person suggested upping the temp even further, so as of the moment, there is an experimental alternate build that now cuts out every single piece of event text entirely. This has some rather unfortunate side-effects in regards to the results of many passive beacons, especially distress calls. You'll simply just collect something from the beacon and move on right away. This does also mean that there are no Blue options whatsoever, since every event is spontaneous in result. I did not, however, include the person's suggestion of literally spawning ASBs after every fight to force the player to get the hell out of dodge. That's just silly. ASBs at every beacon? That sounds like some for CRAZE. The single main reason I'm not doing anything of that sort is that MantisB would become completely unplayable under such circumstances. Even if the ASB only trips when the fight is concluded, the ship still needs to wait for the Teleporter to bring everyone back and to then charge the FTL. With only Level 1 Engines, that practically guarantees getting hit at least once by the ASB on every beacon, twice if the shot hits the Helm/Engines. slowriderxcorps wrote: The single main reason I'm not doing anything of that sort is that MantisB would become completely unplayable under such circumstances. Even if the ASB only trips when the fight is concluded, the ship still needs to wait for the Teleporter to bring everyone back and to then charge the FTL. With only Level 1 Engines, that practically guarantees getting hit at least once by the ASB on every beacon, twice if the shot hits the Helm/Engines. Sounds like you need to up the initial Engine level of the Mantis B then... or add an Engi to the ship. But that bit of topping will ruin the vanilla flavour you're going for.